Many modern Macbooks and Thinkpads contain the accelerometer that detects when they are being dropped using the sensors inside them. They can then quickly secure the hard drive read/write head so as not to damage the disc. Well Firefox 3.6 has a new API that now lets you use the accelerometer. 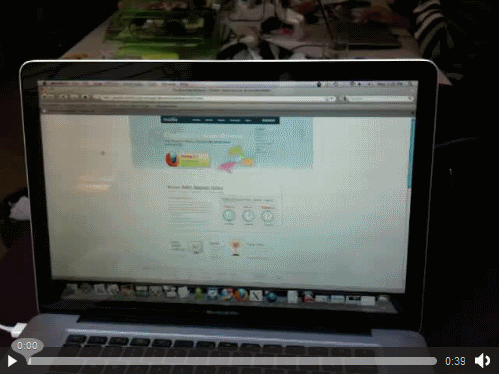 So now when you tilt your laptop while browsing in Firefox 3.6, the page will just remain still. We have this video from Hacks Mozilla. You can also have a look at more orientation demos such as Firefox Web page moving, Firefox logo moving and a Web page following the computer orientation. Daniel Glazman a developer has written some more demos which you can find here. You can find the entire API for accessing device accelerometer using Firefox 3.6 here.